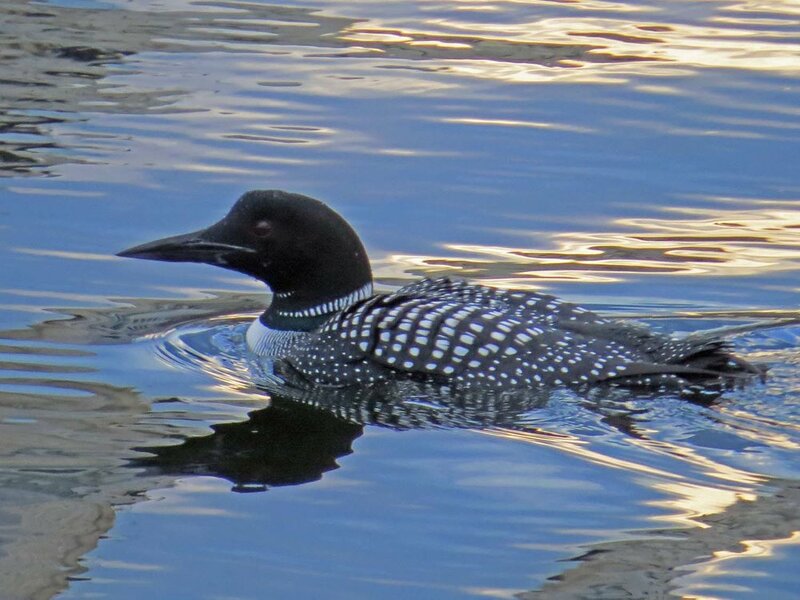 Central Park has had visiting common loons in the past, but they are not all that frequent. The first time I saw a common loon in the park was on April 2, 2014, when a wildlife rehabilitator released a loon at the Lake. This was not the best place to release a loon, since the water is not really deep enough and there is not enough water distance for a good take off if the loon wants to fly. This particular loon struggled all day, sitting on the shore between efforts to swim and catch fish. It was exciting to see a loon as close as this one was, but very sad because we knew it was not doing that well. The loon did not make it through the night. I next saw a common loon at the Reservoir in April 2015. I filmed the bird over several days. 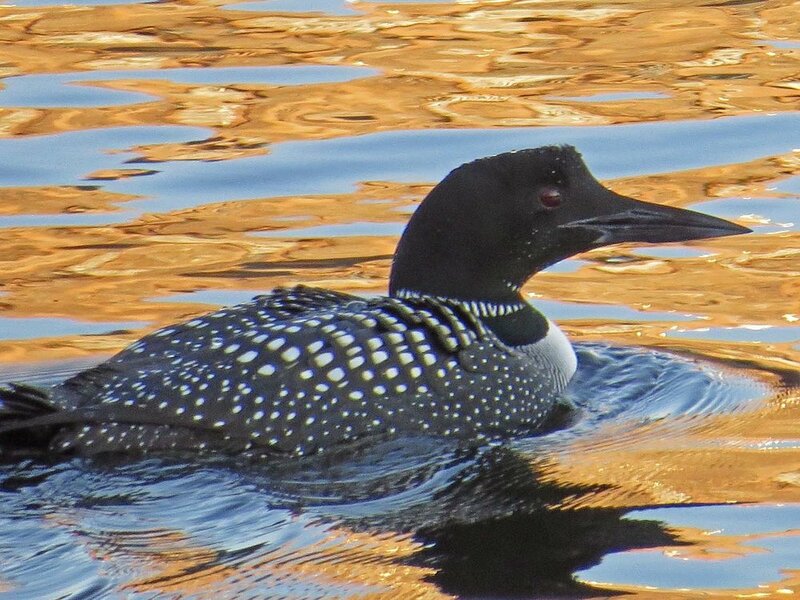 I didn't see a loon in 2016, but on March 30, 2017, I filmed another loon floating and diving on the upper east side of the Reservoir. I have put together a video in the Filming the Feathers series showing these common loons. The music is by Claude Debussy (yes, I did use Clair de Lune, couldn't resist, but the music does fit the graceful descent of these beautiful diving birds). These first two photos are from the sighting on March 30 of this year. I have been told there have been two loons, but I saw only this one. These are photos of the injured loon on April 2, 2014. We were able to see the wing span of this bird, and the deep red eyes. 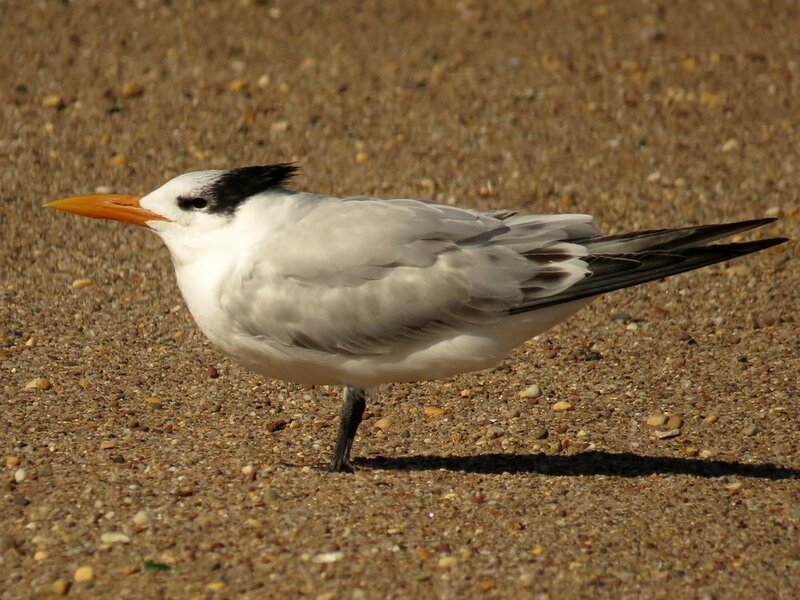 These photos are from the bird I followed in April 2015. The last photo is quite grainy, but we can see the loon's leg stretched out in it, so consider it an artistic anatomy lesson.